Our JV and Varsity athletes helped to direct youth teams throughout the day of the Cheerleading Competition. 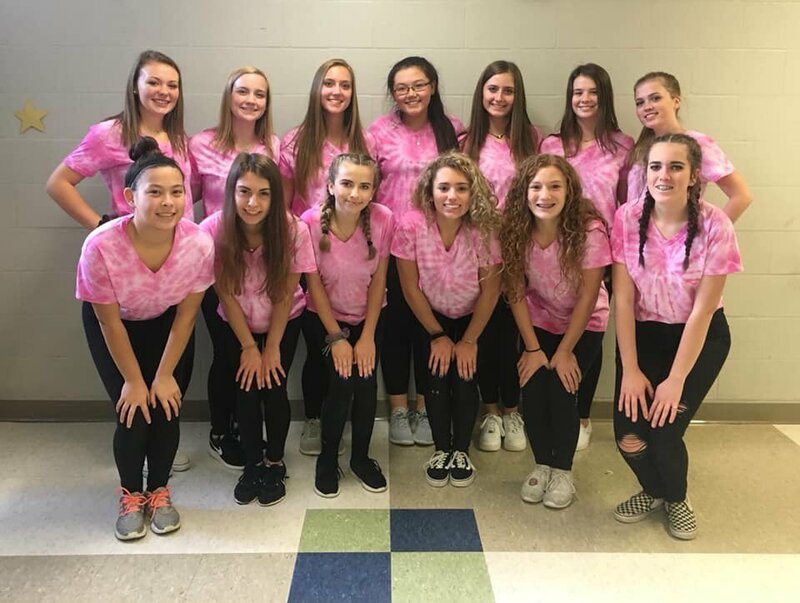 The pink shirts were worn in honor of one of our B Squad coaches (myself, the varsity coach and modified coach all help with youth cheer as well) who is currently battling breast cancer. We had 13 girls help at the competition and they were there from 7:30am-1:00pm (when the competition ended). We have in the past helped at Kazoo fest on black Friday to earn money for Camp Good Days.